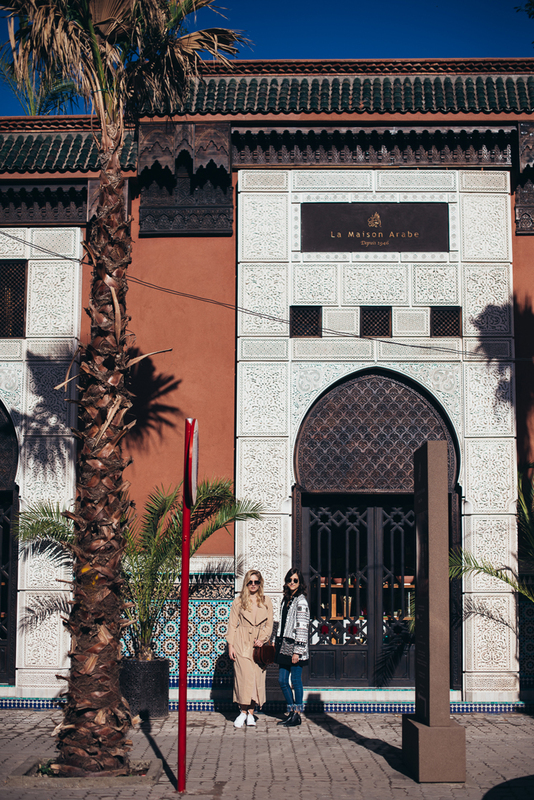 I really liked the souks, the hidden rooftop restaurants, the magical gardens and colorful streets, but if I were to pick my favorite place in Marrakech, this would probably be it. 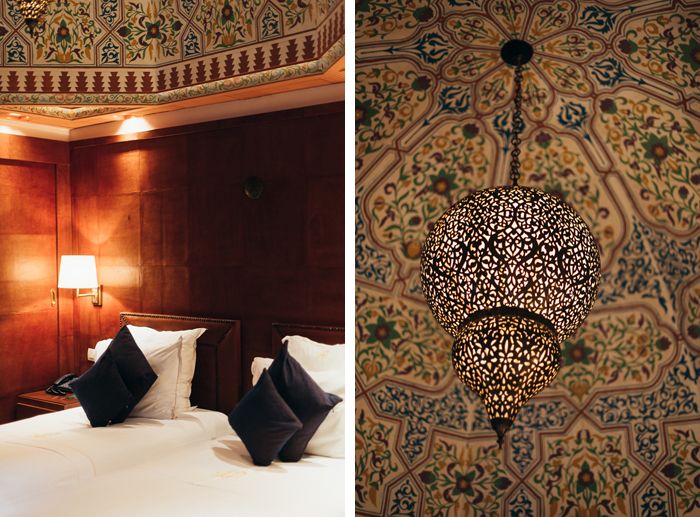 La Maison Arabe, one of the most charming hotels, I've ever stayed at. 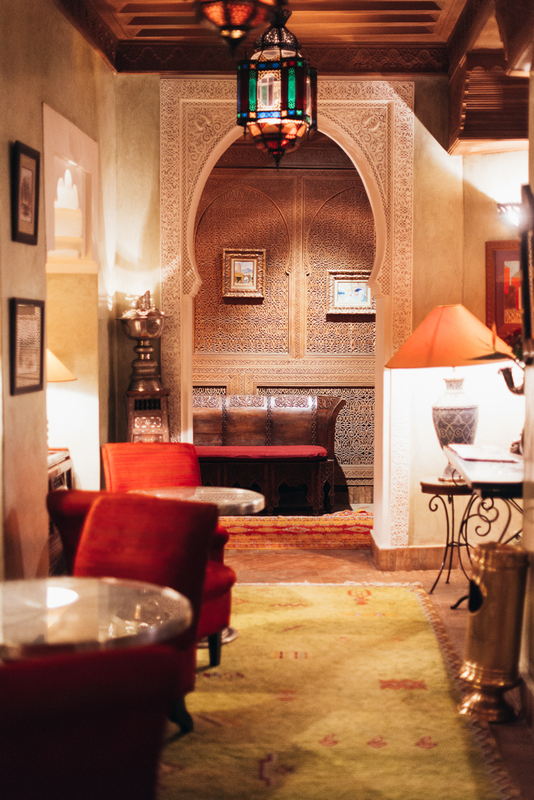 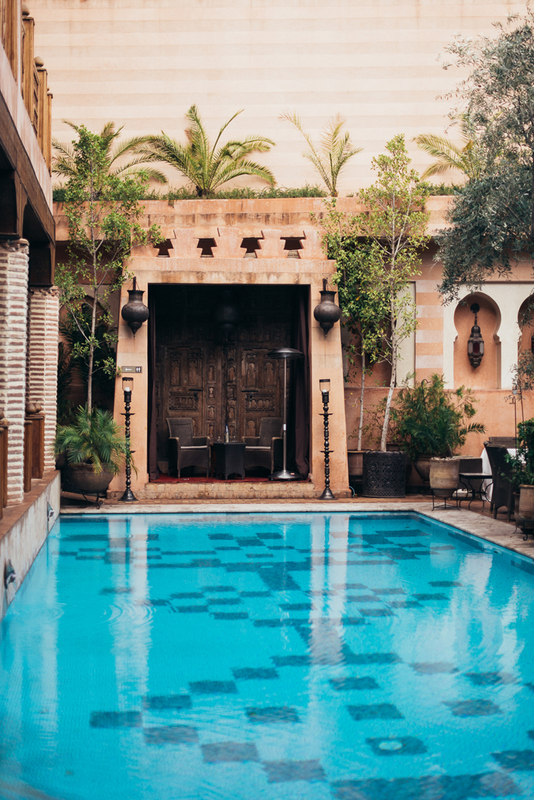 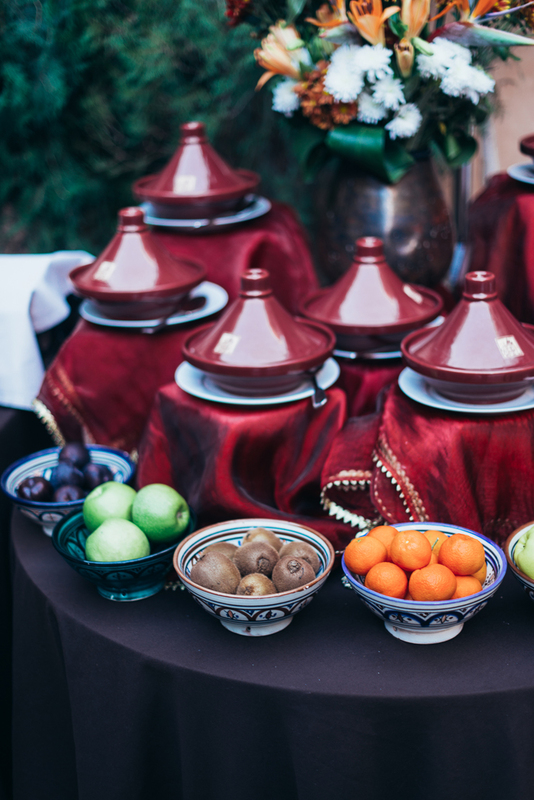 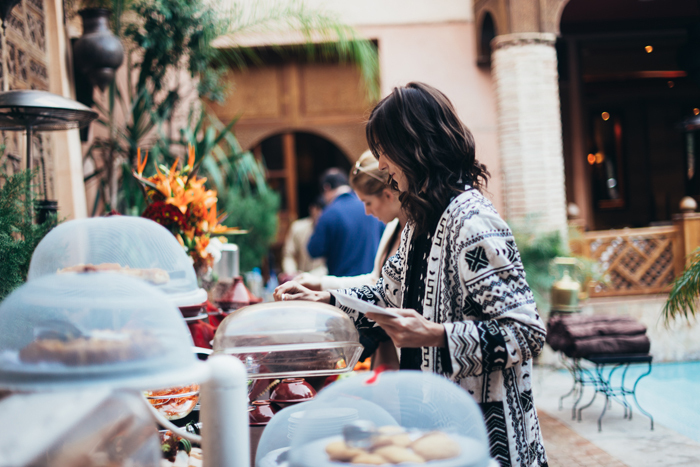 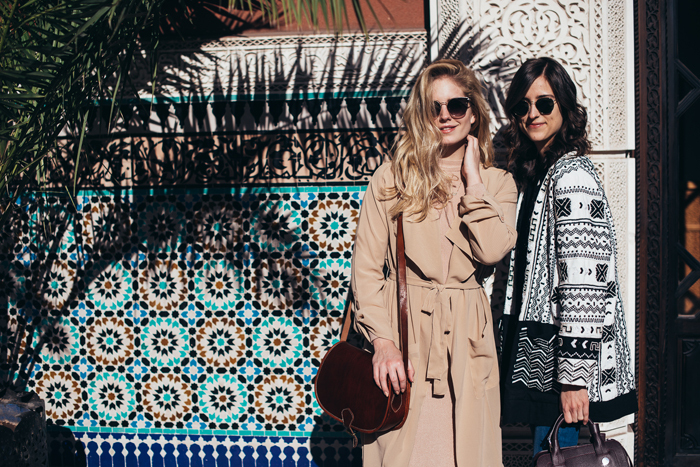 Situated in the medina, this hotel is a true hidden jam in the middle of Marrakech. 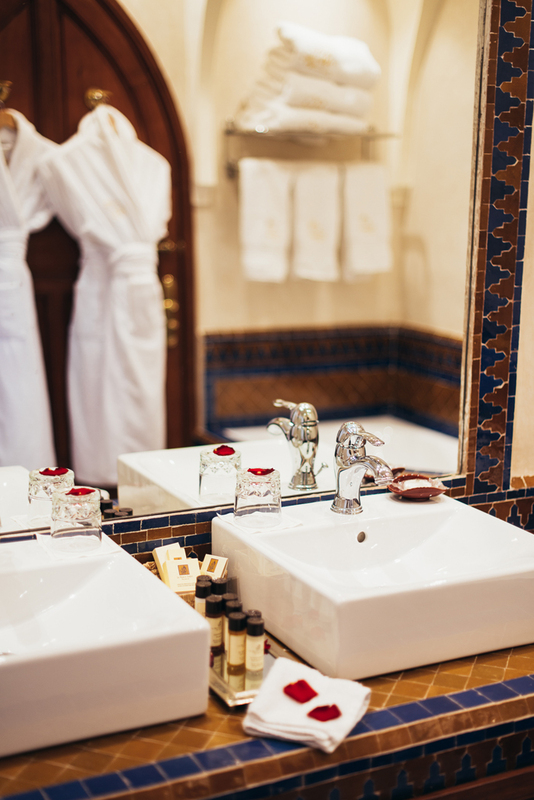 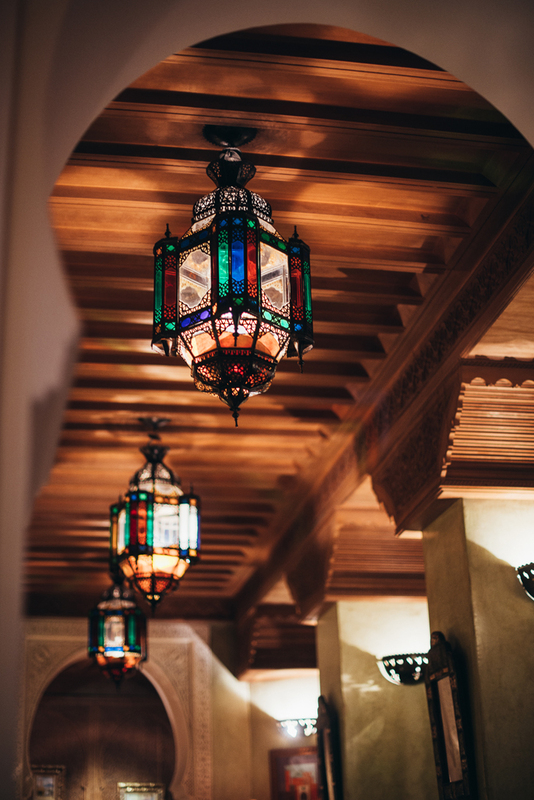 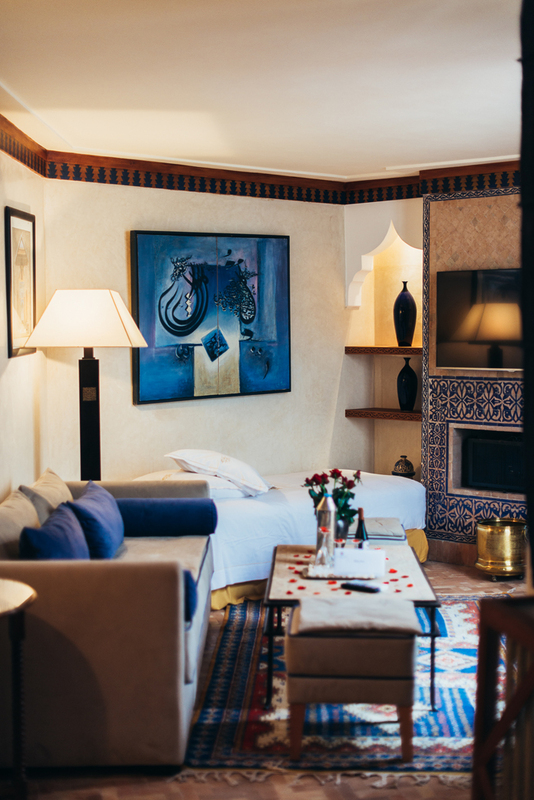 Mixing Moroccan tradition with modern comfort, the hotel includes 26 rooms and suites, each evoking the legendary charm of the riad. 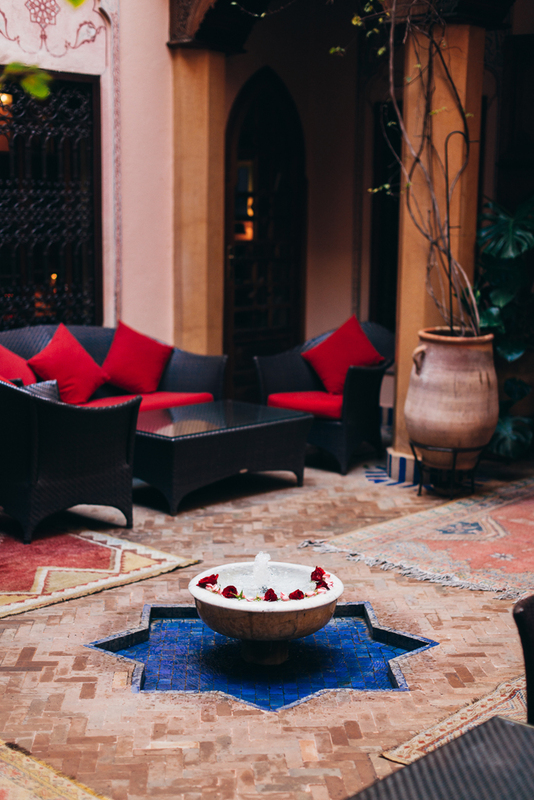 It was actually one of the first places in Marrakech, that came up with an idea of turning a classical riad into a (boutique) hotel, which is now probably one of the most popular types of accommodations in the city. 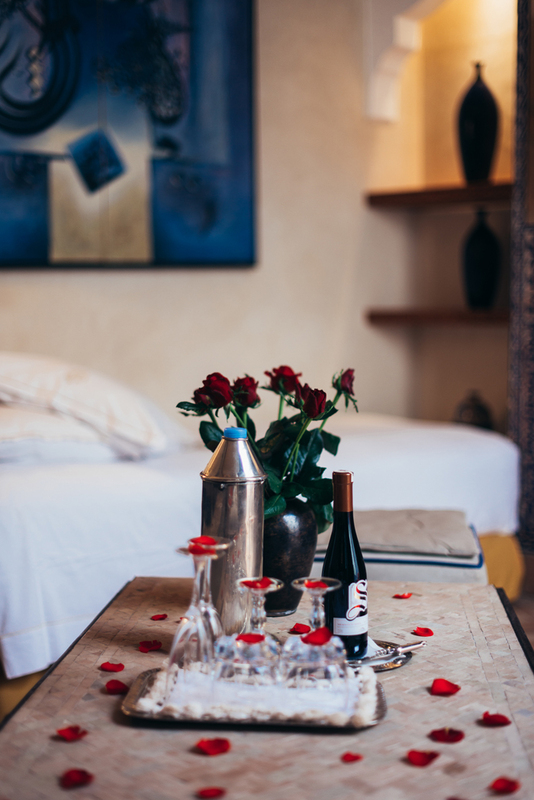 Beautiful suites are of course just one tiny part of this magical place, as together with Ajda, we were able to enjoy flower-filled patios, a piano bar, a spa with traditional hammam and three restaurants, the one next to the big, heated pool being my favorite. 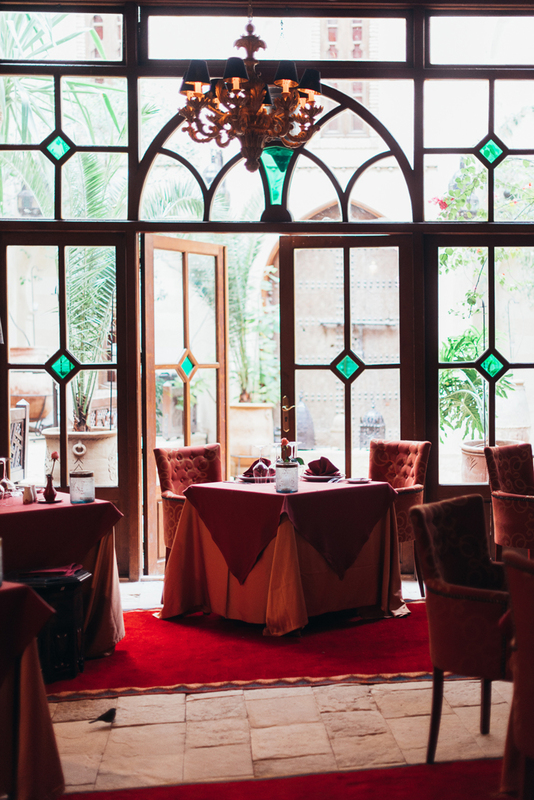 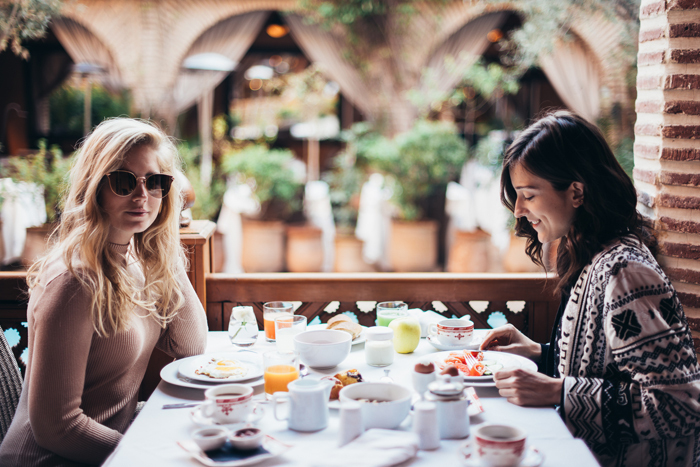 We had the most amazing dinner (I'm still obsessing over their chocolate creme brulee) and a delicious breakfast there, which was a perfect end of our short, but incredibly sweet stay at this beautiful hotel!